Your shed is a beneficial part of your property, but it is usually overlooked and undervalued. 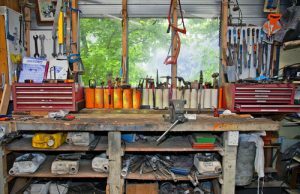 It is where homeowners store unused items, tools, supplies, and anything that won’t fit inside the house, so things get quickly out of control if you’re not aware of the do’s and don’ts of shed organization. Let’s get started! While you can save creating your DIY shed, why not look at great garden sheds online? These are ready-made are now available to make your life a lot easier. It is crucial to have a well-designed garden shed because it usually stores dangerous substances. Ready-made garden sheds are engineered and built by professionals to ensure that homeowners will have less hassle organizing their stuff. 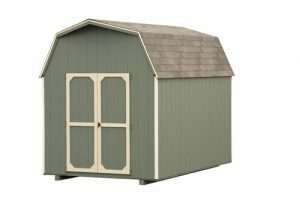 If you’re ready to get organized, make sure that your existing shed can handle order. If not, invest in a new one. Shelving is an essential aspect of shed organization. Before you start piling things in your shed, be sure to have an adequate number of shelves. Organize the items according to what you use the most. For example, you can store everyday tools within easy reach and somewhere where you can easily see them. Stow rarely used items on top. To prevent nasty incidents, put bulky or heavy items at floor level. In your free time, it would be nice to declutter your home to get rid of the things you need to throw away. Sometimes we store unwanted items in our shed thinking that they can still be used in the future. However, they may get damaged over time, rendering them unusable. Remove residential rubbish as early as possible to prevent accumulating trash in your shed. You can always repurpose old cupboards and shed furniture to save money. Your hardware and cleaning tools, like forks, spades, hoes, and brooms are all necessary, so you need to organize them in a shovel rack. You can create a shovel rack from a piece of plywood with slots or using an old pallet. Attach the shovel rack securely on the wall. Attaching pegboard on the walls enable you to hang all types of tools, making them accessible and also saving space. You can hang your power tools, hand tools, sprinklers, hoses, paintbrushes, and gardening shears. Make your pegboards fun and bright by painting them with different colors which also serve as codes for tool organization. Small metal items, such as screws, clips, pins, nails, bolts, and other hardware bits can be stored in repurposed mason jars. A door shoe organizer is a good place to store your seed packets. Hooks are your best buddies in your garden shed. 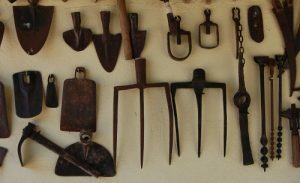 You can use them to hang tools such as secateurs and trowels. Hook your tools on a shower curtain rail, old palette, or a window frame. Convert ply boards into a useful space or shelving up top. You can hang your big bikes from the ceiling so that you can reclaim some floor space. You can even use an old PVC pipe as a fishing rod holder. Magnets can do wonders for shed organizing. A magnetic tool holder and magnetic knife rack can store pliers, files, screwdrivers, and other metal tools. You can make a perfect hose hanger out of an old bucket or cable-spool. A wall-mounted cylinder or an old car wheel can be converted into a hose hanger. By doing so, your garden hose is accessible and ready whenever you need to water your geraniums, organic veggies, and all sorts of your plants in your greenhouse or garden. Storing paint in your shed will leave it unusable over time due to temperature fluctuations. Store paint in dry places where the temperatures are low, such as closet indoors or basements. Contact your local recycling agency to dispose of old paint. Paper products, such as napkins and paper towels, and pet food can attract rodents and bugs. Store these products separately and away from high temperatures. Immediately dispose of trash and don’t dump unused items in your shed. If you’re 100% sure that items are not usable anymore, it is best to get rid of them. Organizing your shed can be fun and exciting, allowing you to use your resourcefulness and creativity. 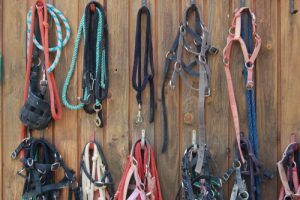 There are many things you can find at home that can be repurposed as shed organizers. While you can create your DIY garden shed, you can always purchase ready-made garden sheds online if you’re too busy or don’t have the interest to build one. Every home repair and maintenance activity is made easier and faster if you have a well-designed and organized shed. Happy organizing!